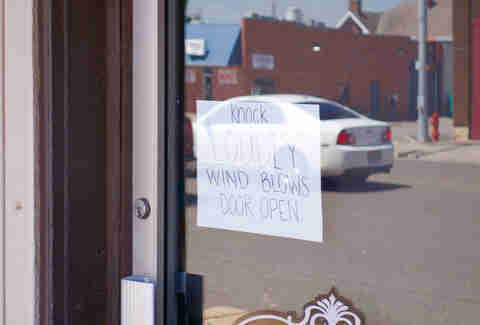 The first thing you notice in El Reno, Oklahoma is the wind. It is the howling sort, screaming at you down the wide lanes, and making quick work of hair styles, signs not properly tied down, and open doors. It is a wind worthy of conversation, and in lesser towns, its gusts could be the sole focus of discussion for days. But in El Reno, they have onion burgers. I traveled to El Reno during Burger Quest because this unlikely town 30 minutes outside of Oklahoma City is home to the origin tale of the fried onion burger, an Oklahoma specialty that only the most dedicated burger-consumers outside the state have even heard of. Featuring the onions actually cooking in with the meat on one side, it’s a kissing cousin to the diner-style burgers with grilled onions I grew up on at the White Hut in Western Massachusetts, and so the town and the burger itself became a must-hit on my quest around the country. But before there were burgers in El Reno, there were cows. Back in the 1860s, ranchers used the Chisholm Trail to drive cattle north to Kansas. One of the stopping points along the trail was just north of the current town. At the same time, Native American reservations were being set up in Oklahoma, and Fort Reno was built to “maintain order” after several Native American uprisings. 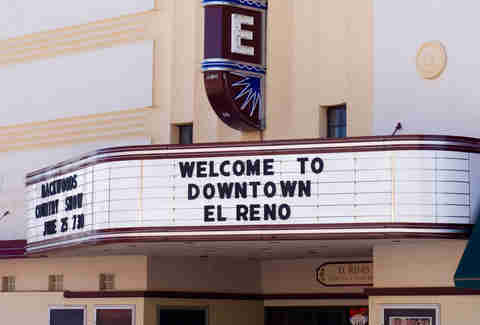 After the Oklahoma land run opened up some of those lands to white settlers, a settlement called Reno City was built by the fort (though moved closer to a nascent rail center), but the name was changed to El Reno when the US postal service began confusing mail intended for Nevada. The Oklahoma-style fried onion burger is a damn national treasure. In 1926, Route 66, aka the Main Street of America, aka the Mother Road, was created to give wannabe actors and potential key grips traveling from Chicago to Los Angeles a standardized route to follow west, through Missouri, Kansas, Oklahoma, Texas, New Mexico, and Arizona. 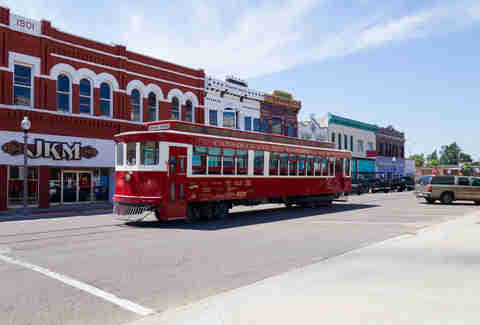 A side consequence of the route was providing mom-and-pop business opportunities for people in towns along said route, and it just so happened to run right through El Reno. 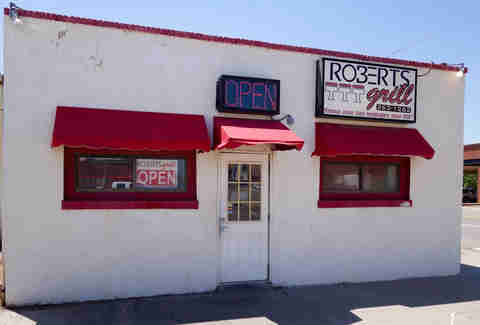 According to the John T. Edge’s excellent book Hamburger & Fries: An American Story, at this time, a man named Ross Davis ran a restaurant called the Hamburger Inn in town along Route 66. Because this was the Depression, hamburger meat was expensive, but onions were cheap. Davis started “smashing them into the meat with the back of his spatula. He called them Depression burgers and he’d smash a half-onion’s worth of shreds into a five-cent burger.” Apparently Davis’s spot was in a prime position -- at the intersection of Route 66 and Highway 81 -- and word of his creation spread quickly. Several other eating establishments in El Reno followed suit, and began making their own versions of the fried onion burger. A burger star was born. 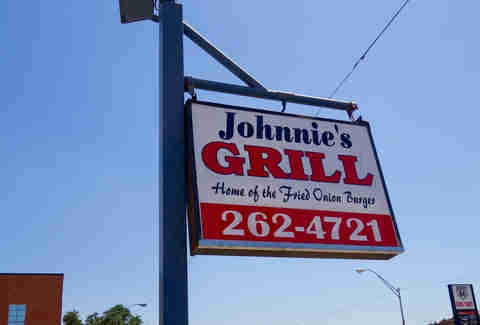 By now, the Hamburger Inn in El Reno has closed (though a Hamburger Inn in Ardmore, which has been open since 1938, remains), but three other old-school spots are still there: Robert’s Grill, Johnnie’s Grill, and Sid’s Diner. 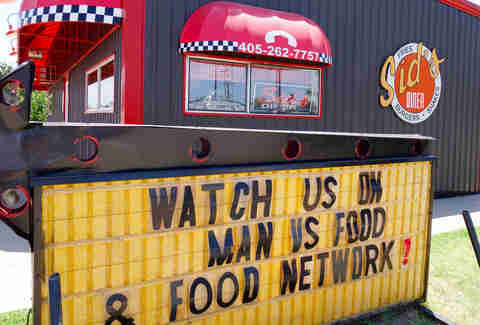 In the span of two hours, I hit them all: Sid’s, seizing on its fame from being featured on the Food Network, had the most tourist flair; Johnnie’s served the biggest burger and had new banners flapping in that famous wind on top of the old ones; and then there was Robert’s. Robert’s looked like they’d done the least to change it since 1926. It was just a well-worn shack of a place. A TV hung in one corner, playing The Price Is Right. The man behind the counter eyed me in the way you do when you own a place that doesn’t get many tourists. His son, no more than 12, poured ice into a cooler and answered the phone. I asked for an onion burger, and he nodded and got to work on the griddle, throwing a Mrs. Baird’s extra-thin bun on top of the sizzling meat and onions. The actual burger was a marvel, the steam from the onions and the bun pouring out around the sides, the onions broken down and coagulating with the cheese, the meat griddled perfectly. The onions -- so many onions -- crisscrossed through the meat like an intricate grid, snaking out the ends. Though I knew I shouldn’t, I ate the entire thing happily. “How was it,” the cook asked, as he cleared the plate, but he didn’t seem to wait for a reply before turning back around. He already knew. 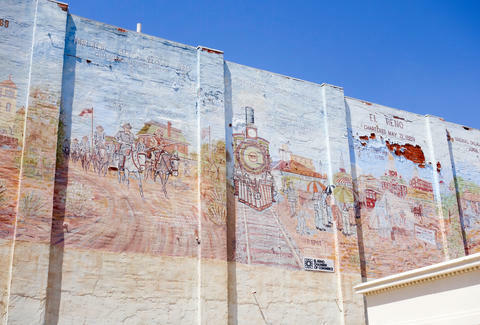 After eating, I walked down the town’s main streets, past a clothing store selling tank tops with “Brunch Squad” across the front, and Vigoss pre-distressed jean shorts; past a mural on the side of a building at E Woodson and N Bickford depicting scenes of El Reno in the decades before their charter; past the eerily empty Heritage Express Trolley, the only rail based trolley in Oklahoma; past an old sign for Farmers Union insurance and a place inexplicably called “Hep Kat”; past the suspiciously hip Iron Tree Coffee shop and a Vietnam memorial. The details felt simultaneously like every town and no town I’d ever been to. A man driving an old Ford pickup stopped next to me when he saw I was taking pictures and asked me if I was in real estate. No, I told him. I’m here for the burgers. He paused for a second to give me a second look, possibly weighing whether a savvy real estate man might also make that claim. Eventually though, he seemed to silently convince himself I was telling the truth, as evidenced by a little nearly imperceptible nod to himself. Kevin Alexander is Thrillist's national writer-at-large and chief burger critic. Talk to him about trolleys @KAlexander03.